When it comes to weddings, everyone hopes to only do it the once. 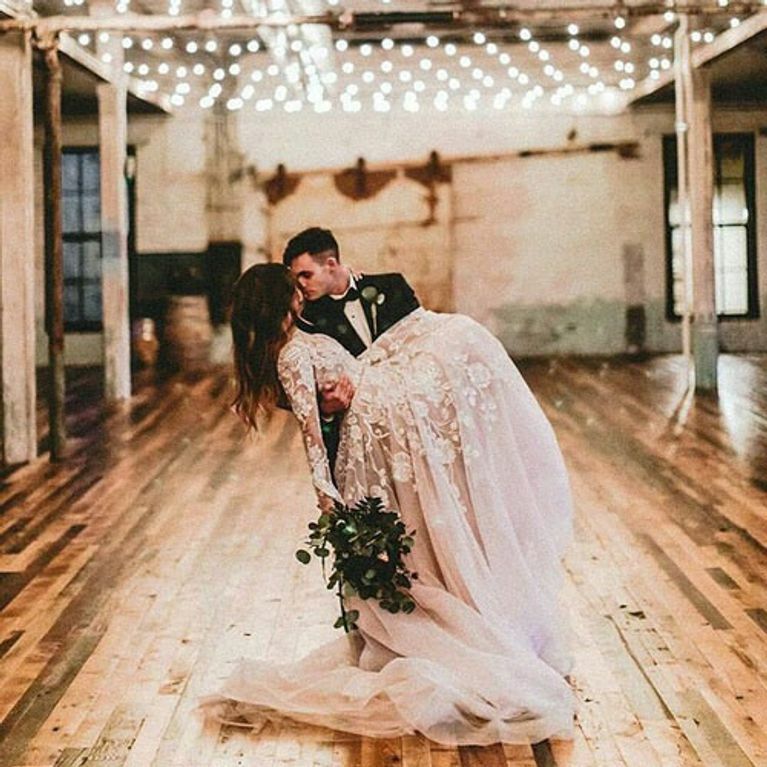 But with so many cool SOMETHING and a million Pinterest boards dedicated to the coolest wedding trends, we kinda need at least six weddings to fit in all the ideas we have. Planning your big day is stressful enough, so we've narrowed it down to the six hottest TRENDS you need to feature at your wedding in 2017. We didn't think it was possible to have a favourite wall, but here we find ourselves, deeply enamoured with a piece of ply board. The doughnut wall is like something out of a Willy Wonka dream. An actual wall that you can pluck a doughnut from. A delicious iced ring right at your fingertips at all times. As a bride, there's nothing more satisfying than dieting to fit into your dress and then on the day itself, treating yourself to a doughnut or five. Go on, put a ring on it, you deserve it girl. It's a given that your wedding is going to be one of the most expensive things you ever willingly throw money at. But who's to say you can't cut a few corners? A wedding bake off is a great way to have some extra sweet treats for your wedding guests, as well as getting everyone involved in something fun. Plus, variety is the spice of life - who wants to eat boring old fruit cake all day when when you could be gorging on brownies one minute and a lemon drizzle the next? When it comes to your wedding venue, nothing does your photos justice quite like the beautiful backdrop of Mother Nature. 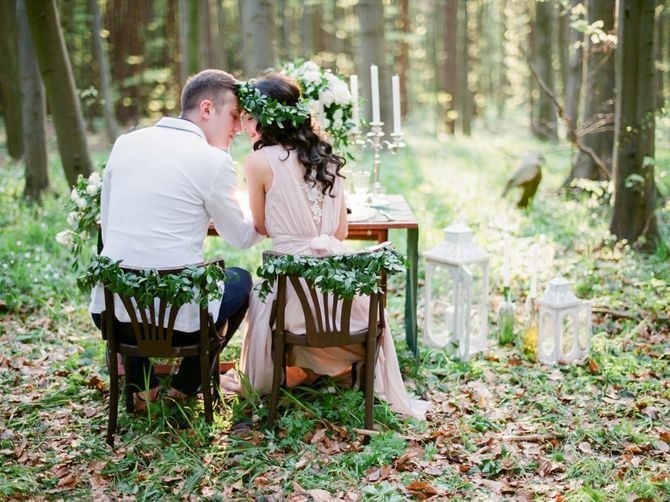 It's all about bare feet on muddy earth, tea lights entwined in branches and the rustic outdoor space. It's exactly why the forest is the location of choice this year; an enchanted location that, while not rainproof - which is a big deal for us Britons - will look effing magical with a some string lanterns and a bunch of wild blooms. Hey, we get it - the boho wedding ain't for everyone. In some cases, less is more, literally. 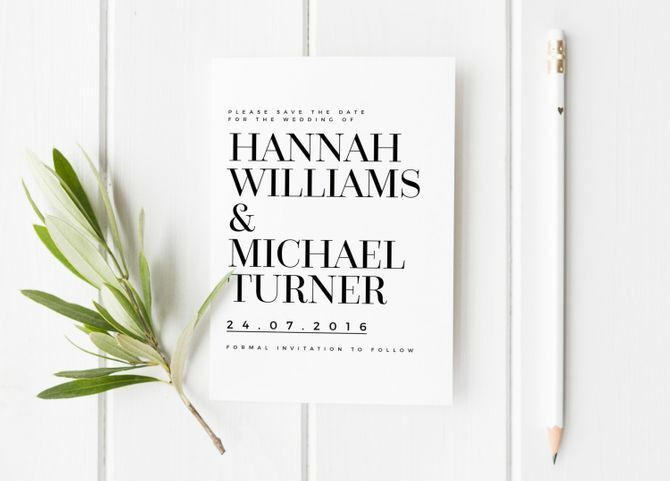 Clean, sharp and mostly monochrome, a minimalist wedding is crisp and modern and the perfect way to keep things basic to maximum effect. We - and Pinterest - suggest that combining black and white with gold, is a winning combo. Floral wreaths, wild flowers and feathers: Boho wins! Weddings should be about relaxing with your loved ones and having a totally chill day, right? Well, 2017 weddings epitomise this ethos. From the dress to the venue to the food, weddings in 2017 have a much more relaxed, boho vibe - and nothing embodies that sentiment more than a wildflower bouquet. Team with a vintage lace dress, a flower crown and a naked wedding cake and your boho wedding dreams will come true!